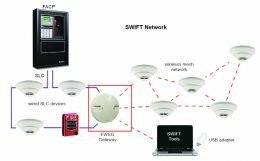 When fire strikes and seconds count the fire alarm system springs into action, instantly alerting building occupants and authorities of the danger. This allows quick evacuation of the area and the prompt arrival of emergency personnel to the scene. As a State of Illinois licensed fire alarm contractor, and Notifier Premier distributor, Fox Valley Fire & Safety is your partner in fire and life safety. We service, inspect, maintain, repair, and monitor fire alarm systems of all the major manufacturers. Our factory-trained personnel are available 24-hours a day, 7-days a week to respond to all of your fire alarm needs including: voice evacuation, elevator recall, and area of rescue systems. Upon completion of Inspections you will receive documentation indicating the location of devices, date of inspection, name of inspector and deficiencies discovered. You should maintain this documentation for review by the authority having jurisdiction. Our technician will inspect and test the fire alarm control panel, service, clean, and test all devices and verify the signal to the monitoring station. The remote monitoring of the alarm system will be checked for proper operation. Upon completion of this inspection, a Fire Alarm Test Report and Certification will be sent to you and to the local Fire Department. 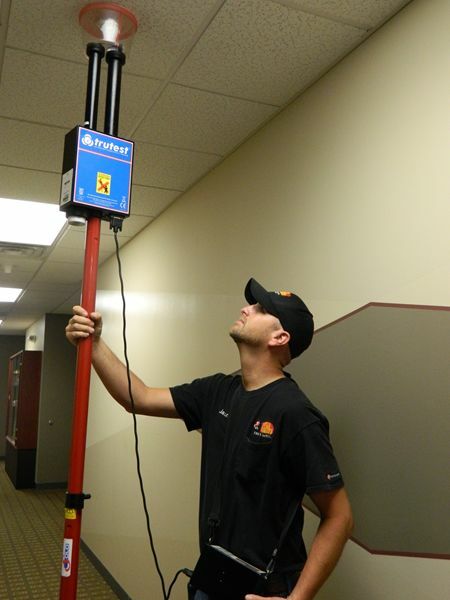 This service work meets NFPA 72 and IDPH requirements for Annual Testing of Fire Alarm System. 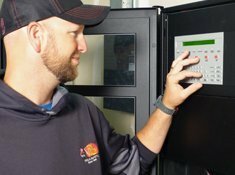 The elevator recall fire alarm control panel is installed for the sole purpose of monitoring the automatic detection requirements needed for recalling the elevator(s) to the first floor (or designated floor), per Code. This inspection will be coordinated with the buildings elevator contractor and is typically performed during the fire alarm inspection. 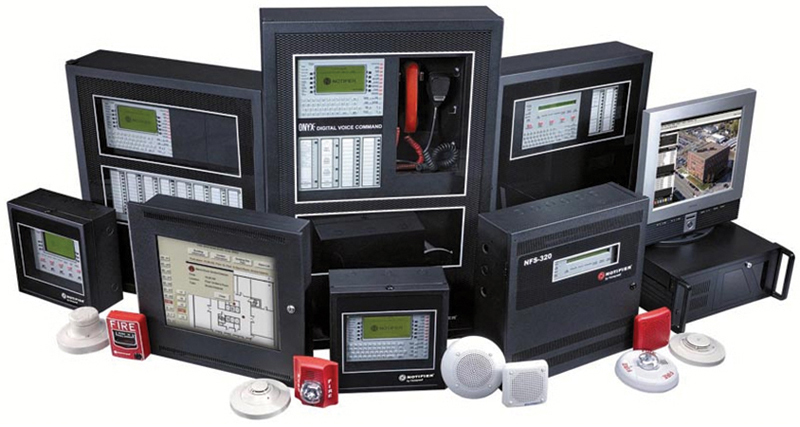 Our technician will inspect and test the fire alarm control panel, service and test all devices. Also, the shunt trip breakers will be tested to assure that all electric to the elevator car(s) will be disabled before the sprinkler system would activate. 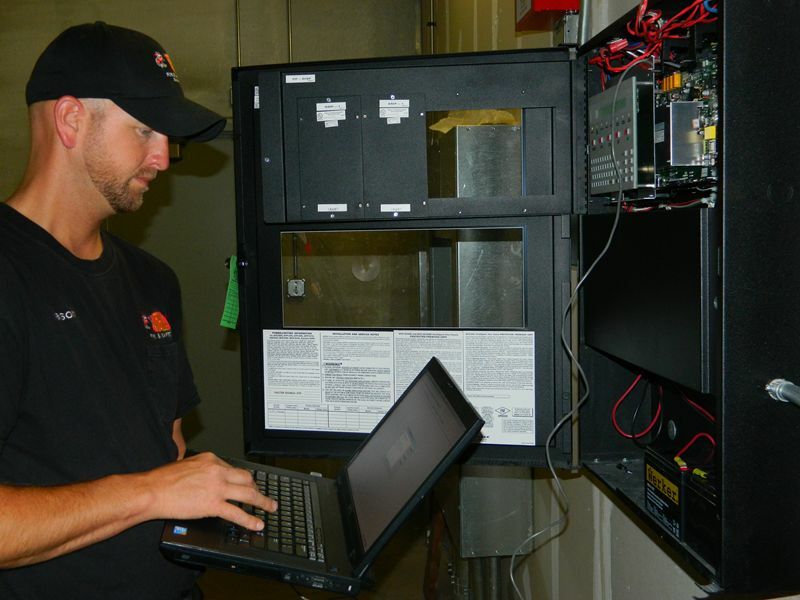 This service work meets with NFPA 72 requirements for Annual Inspection and Testing of Elevator Recall System. 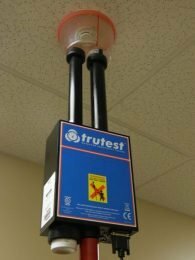 Once every two years, per NFPA requirements, our technician will perform a calibrated sensitivity test to assure that each detector is within its listed sensitivity range and each detector will initiate an alarm when exposed to smoke of certain concentrations. 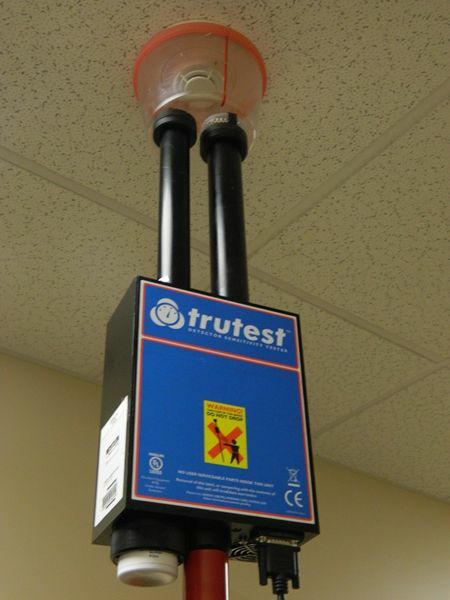 This test will be performed in conjunction with one of the semi-annual or annual tests of the fire alarm system. This service work meets NFPA 72 and IDPH requirements for Annual Sensitivity Testing of Smoke Detectors. 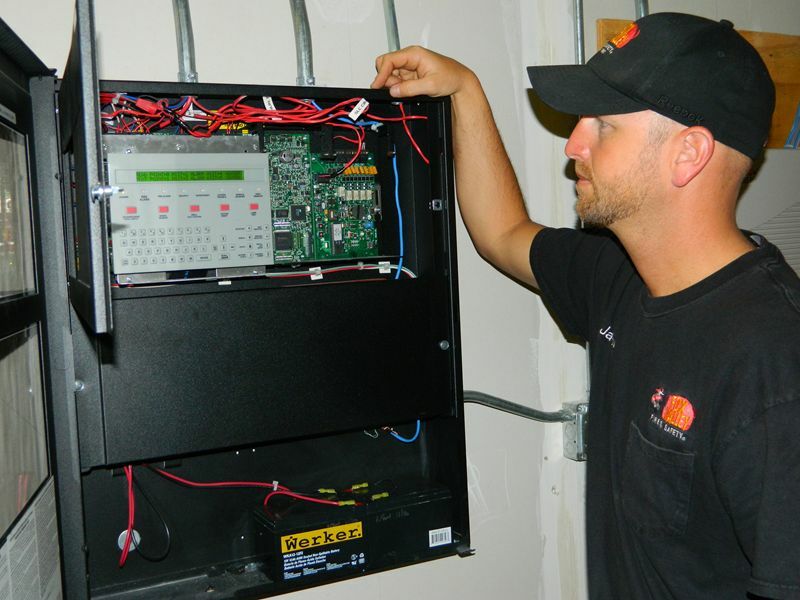 Our Technician will check to insure that both automatic and manual messages are broadcast to the appropriate areas of the building and all communications and mass notifications are audible and intelligible. 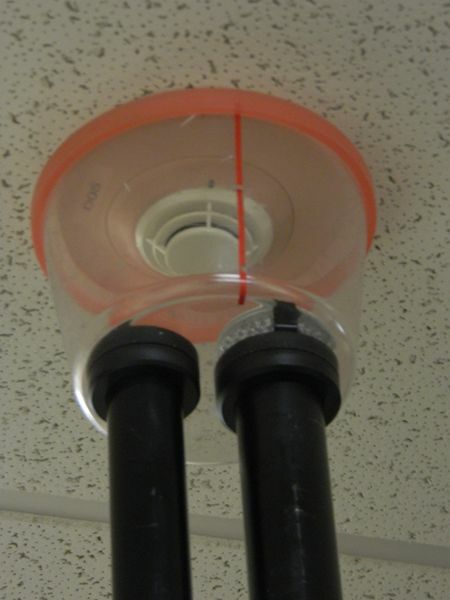 If your building is equipped with firefighter’s telephones/phone-jacks, they will also be tested for proper operation. Our technician will test all area of rescue assistance call stations for proper operations and check for proper signage and remote monitoring if applicable. All power supply and backup batteries will be tested for proper operation. Our technician will inspect the physical condition of the carbon monoxide detectors, including the gas entry ports. Then, the detectors will be functionally tested, with canned carbon monoxide, to confirm proper operation of auxiliary functions (i.e. exhaust fan operation or charging system shutdown) Discrepancies if found will be reported to you in writing. Our technician will test each fire damper, the fusible links will be replaced and the old links will be collected and bagged for your inspector, per IDPH requirements. The damper will be reset after testing. Upon completion of this work, you will receive documentation indicating the location of the fire damper, or combination fire/smoke damper, date of inspection, name of inspector and deficiencies discovered. This service work meets 2007 NFPA 80 requirements for Annual Inspection and Testing of Fire Dampers. Our technician will test each smoke damper to verify that there is full and unobstructed access to the damper and components. Following the completion of the test the moving parts will be lubricated and a visual inspection will be made of the assembly to ensure no obstructions have been introduced. Additionally, our technician will verify that all indicating devices work and report to the intended location. The smoke damper will be reset after testing. Upon completion of this work, you will receive documentation indicating the location of the fire/smoke damper, date of inspection, name of inspector and deficiencies discovered. This service work meets NFPA 90A(99) requirements for Annual Inspection and Testing of Smoke Dampers. Are your fire doors being serviced and tested annually as required by Fire Code? 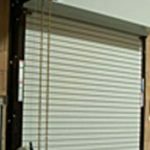 Fire Doors prevent fires from spreading to other areas. To insure these important fire stops work properly when they are needed, our trained technicians will inspect and test them every year. Don’t allow a small fire to get out of control.